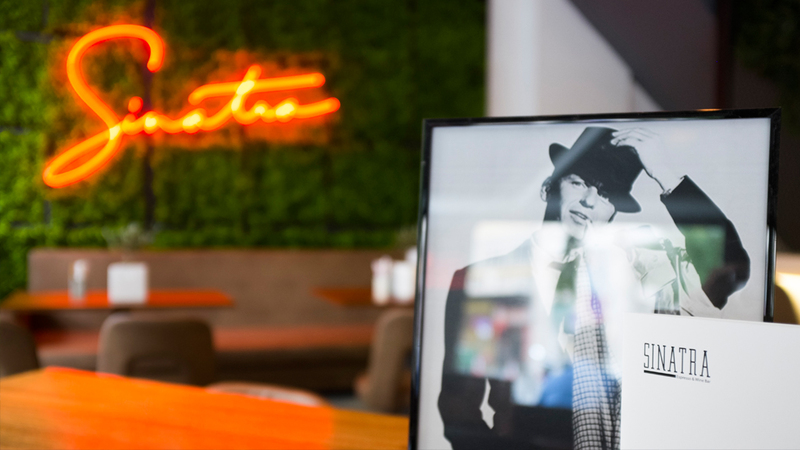 Project: Sinatra Espresso & Wine Bar renovation. 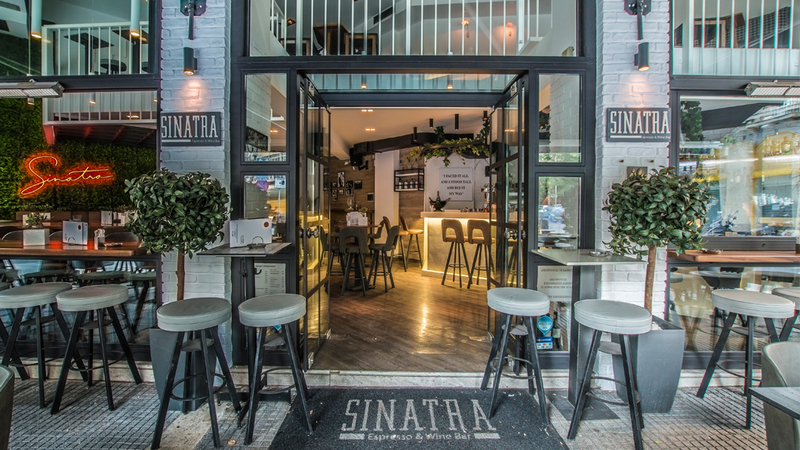 Sinatra espresso & wine bar is located in the city center of Thessaloniki, Greece. 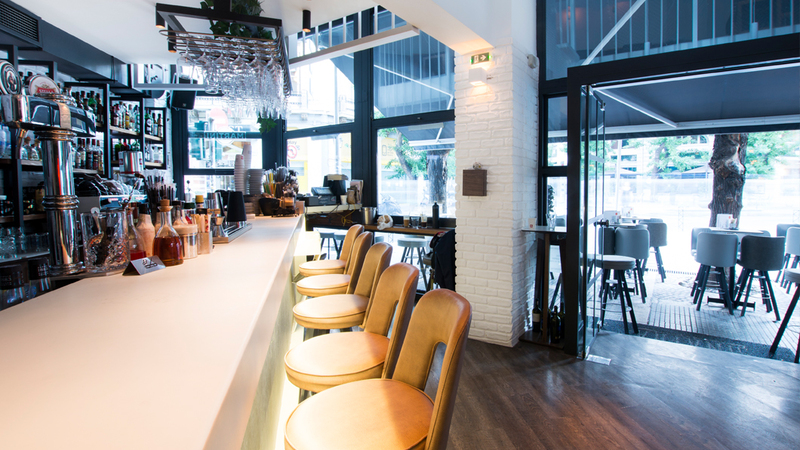 The bar works from early in the morning serving clients coffee before work till late at night when transforming into a party spot for after work relaxation. 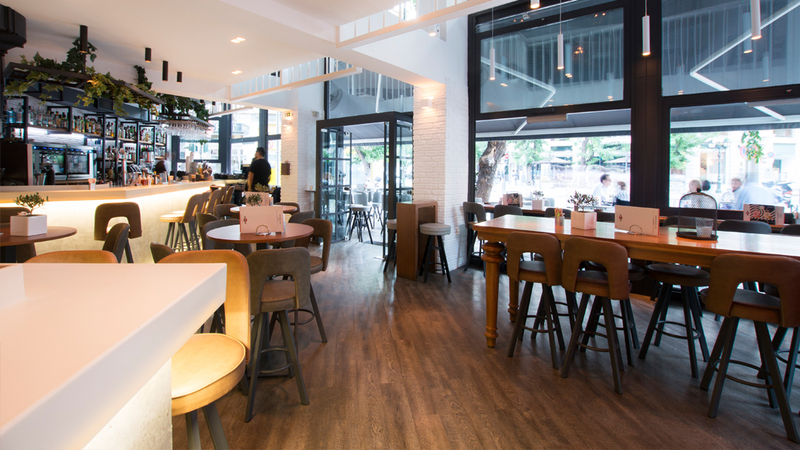 The key point of the renovation was the creation of a fresh space where people could relax, slow down for a while and instantly forget being in the city center. 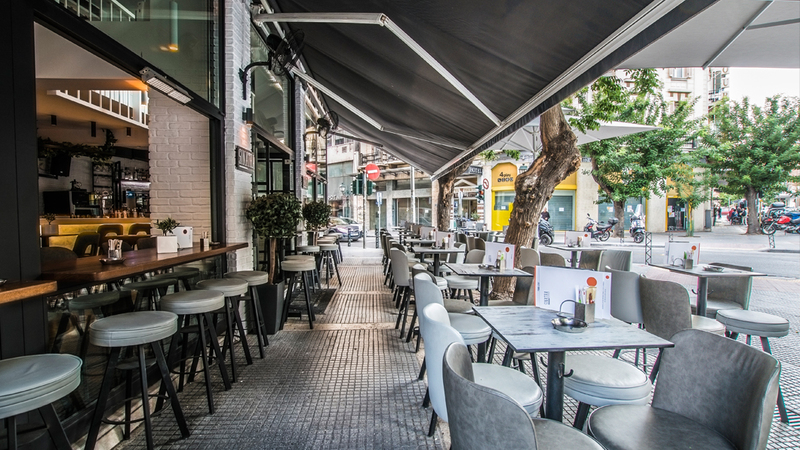 The renovation process commenced by acknowledging the necessity for refreshment but at the same time maintenance of the personality and character of the space. 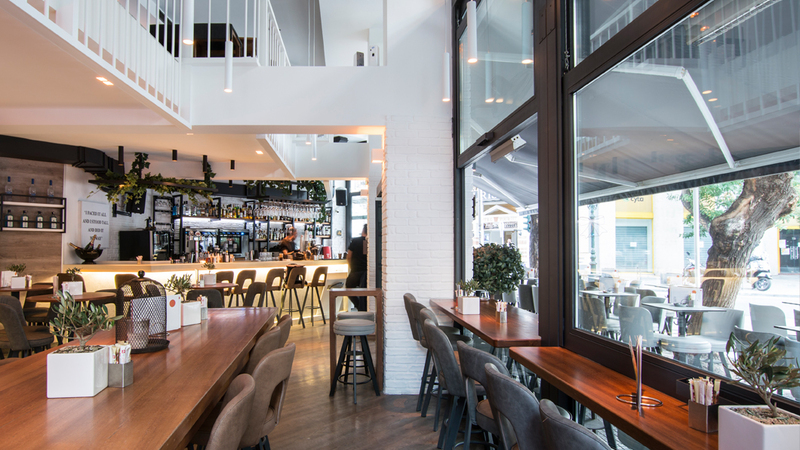 Remarkable elements concerning the spatial planning as well as the decoration have been preserved (color of the furnishing, placement of the bar ect) and blended with certain details that allowed the space to refresh. The fundamental characteristic introduced in the design is the “green” element, green moments that people miss by living in the city. 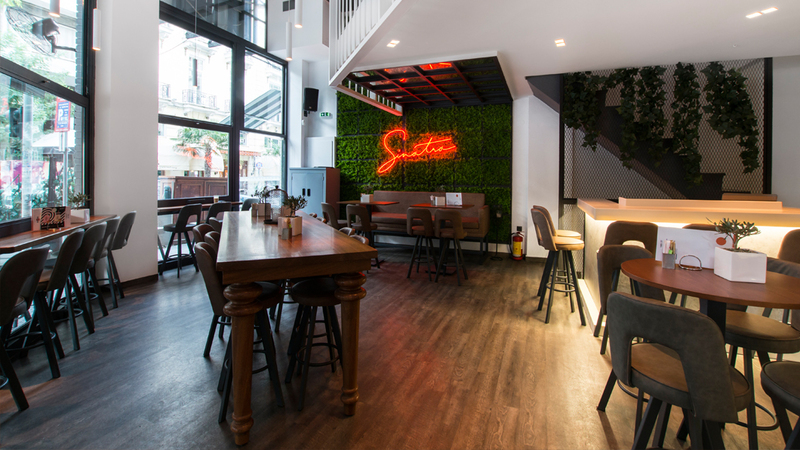 By bringing nature closer to the place customers are welcomed in a space where they can forget craziness of everyday life and escape to a more “virgin” environment. Starting with the main wall of the space (two stories high) all urbanism is denuded and revisited with a covering of fern. To reinforce the 20 s.m. 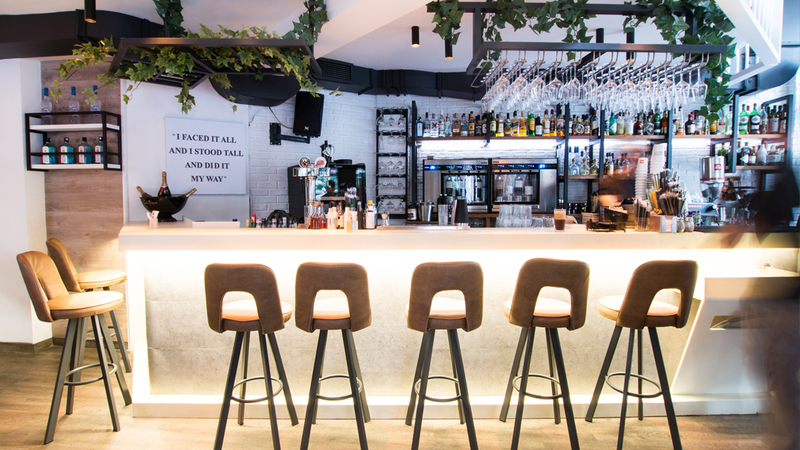 fern wall, ivy hanging from the roof in various spots and heights and minimal containers with bonsai olive trees placed on stands and tables offer more green moments and convert the space to a so called ‘urban oasis’. An “oasis” that attracts pedestrians and is visible during the night as well, when the d.j. takes his place on the decks and transforms the relaxation bar to a dancing place. Placed away from the bar and in the center of the space the d.j. acts as an individual core during the night hours. Special lighting above the “d.j. box” signaling ‘on air’ turns on and communes to pedestrians that the party begins and fun is in the air. 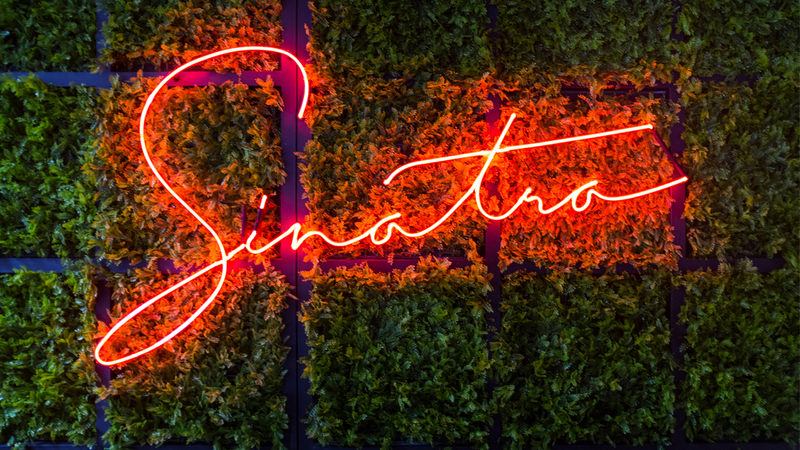 Last but not least, a decorative neon light in the form of Frank Sinatra’s signature gives a special touch to the fern wall and introduces the bar to people encountering it for the first time.